Regency and 20th Century Fox are overhauling the big-screen adaptation of the TV series, which flopped last year after Jennifer Lopez dropped out, Variety reports.? John Travolta remains attached to play slimy oil tycoon J.R. Ewing. Betty Thomas, the director of two spoof movie hits from “The Brady Bunch ” is in discussions to direct. Pam Brady, who most recently scripted “Hot Rod,” is writing the script, says Variety.? When the movie was derailed late last year, Gurinder Chadha (“Bend It Like Beckham”) was directing. Luke Wilson was attached to play Bobby Ewing with Shirley MacLaine to play Miss Ellie, while producers were talking with Meg Ryan to play Sue Ellen after Lopez dropped out. The budget for the comic “Dallas” should be lower than the projected $65 million for the straight-faced version, Variety says. The studio is eyeing a January start date, according to the trade publication. 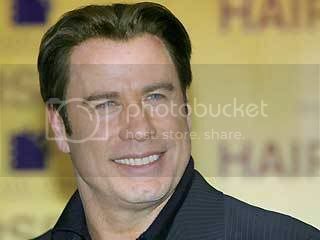 John Travolta: In HAIRSPRAY I Wanted to Look Like Sophia Loren with A Few Extra Pounds! John Travolta Likes to SMOOCH MEN!